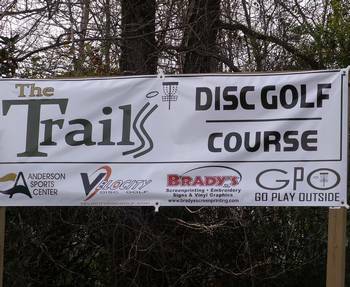 Disc Golf is taking the country by storm, and Anderson has two golf courses and looking forward to more. 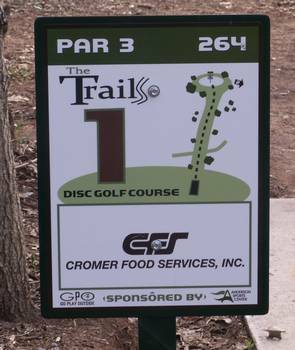 A disc golf course caters to players of all ages, from children to teens to adults of both genders. 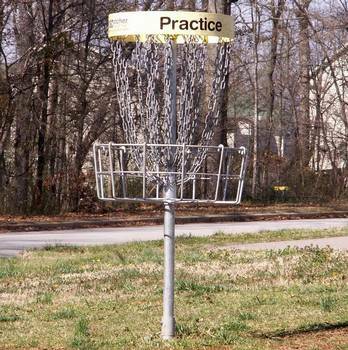 Like regular golf with iron clubs and golf balls, the premise is the same -- only you are using a disc, like a Frisbee. The object is to play a "round" of "holes", the holes being the disc golf target (pictured) - the most common called a Pole Hole - an elevated metal basket. As a player continues down the fairway, s/he must make each consecutive "shot" from the spot where the previous disk landed. Courses consider trees, bushes and other obstacles as challenges and the player at the end of the rounds, with the least number of throws, wins the game. Not only is it loads of fun, but one of the perks is no cart fee, no lugging a bag of heavy irons, usually no fees to play, and it is designed to be a great game for all.